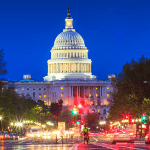 A Washington, DC public hearing on legalized sports betting this week brought new energy to the issue, as city council members continued their push to get on board before neighboring cities do. 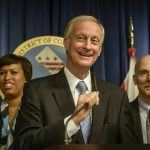 Councilman Jack Evans — the bill’s sponsor — outlined why the race is key. 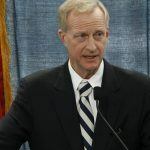 If we can get up and running before Maryland and Virginia and some of the other jurisdictions, we can capture the market,” Evans said, according to NBC TV’s Washington affiliate. Evans pointed out that casinos like MGM National Harbor, just 24 miles away in Maryland, are already stealing away potential customers and revenue. Maryland hasn’t yet legalized sports betting, but it could introduce legislation in 2019. It’s money the DC council would rather see going into the city’s coffers. They’ve pitched a 10 percent tax on sports betting, which would go towards arts and children’s education, as well as programs for gambling addiction. “This is an opportunity now to put the money from an endeavor that I think lots of people will participate in, into something that nobody can argue with,” remarked Councilmember Vincent Gray, who must be new to politics. We first heard about DC’s interest in getting in on sports betting back in August, and it didn’t take long for Evans to muster plenty of support from city government. With nearby New Jersey reporting a $40.4 million sports betting take since just June, it’s been an easy sell — but not everyone is buying the optimistic financial forecast. 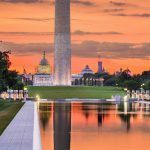 “In order to reach the suggested $400 billion in sports betting, every man, woman, child and licensed dog would have to bet about $1,000 a year,” Marie Drissel, founder of Stop DC Gambling, told the council. While a vote has yet to be held, no member of the city council has expressed any direct opposition to the bill. Public input on the bill will be taken until November 1. From there, it needs to win two committee votes and approval from Mayor Muriel Bowser.